and bay leaf and fry for a few seconds. Add sliced garlic and fry for half a minute. Add the green chillis and sliced onions and saute for 4 mts on medium heat. 2 Add turmeric pwd, salt and combine. Add the drained rice and fry it along with onions for a minute. Add 4 cups of coconut milk and bring to a boil. 3 Reduce heat and place lid and cook till rice is done. 4 Garnish with coriander leaves. How to extract coconut milk: Grate a coconut, add 2 glasses of hot water and leave aside for 30 mts. Grind it to a fine paste. Place a muslin or thin cotton cloth on a vessel and pour this mixture onto the muslin cloth. The strained milk is called ‘first milk’ of coconut. Use your hand to squeeze out the milk from the residue. Add one more glass of water to the residue and run in the grinder for a mt. Strain on to muslin cloth. This second extract is called ’second milk’ of coconut. This is a quick and easy recipe . As the name suggests (Pachi=raw; pulusu=soup), there is very little cooking involved in this dish. It tastes awesome with vuthi pappu (plain dal). Dry roast sesame seeds and grind into powder. Add water to tamarind paste and bring to a consistency of your liking. Add chopped onions, green chilies, sugar, salt and sesame seeds powder. Mix well (you might want to use your hand to get uniform consistency). Heat 1 tsp oil in a pan, add the seeds and curry leaves. Add this to the pulusu and serve with rice and dal. Take a pan and add a few drops of oil. Let the oil heat and then add red chilli, zeera, then add ginger and garlic paste, after that add chilli when chilli is fried little bit add onions, potatoes and mixed veggies AND tomato paste and keep a lid to cover it so that it cooks fast, When they are fried add nodles and mix it then add turmeric powder, salt and masala powder. 1 Bring a cup of water to boil. Add salt, red chilli pwd, asafoetida and rice flour and combine. Placee lid and turn of heat. Leave aside to cool. 2 Once cool, add cumin seeds, channa dal and butter to the rice flour mixture and combine well. Test the dough for salt before deep-frying. 3 Heat a wide heavy bottomed vessel with enough oil for deep frying. Take a small lemon sized ball of the dough, place on an oiled plastic sheet or banana leaf and using your fingers shape into a 2″ circle. Use a fork or knife to make small dents all over the chekkalu so that they don’t puff up when deep frying. 4 Once the oil is hot, slowly peel the shaped chekkalu off the plastic sheet and slide into the hot oil. 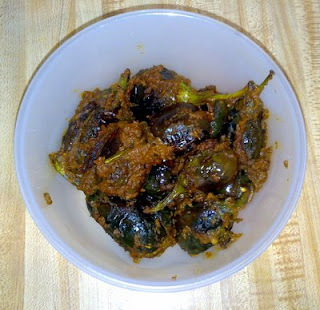 Based on the size of vessel and amount of oil, you can deep fry a batch of 5-8 chekkalu. Don’t crowd the vessel with too many chekkalu. Reduce flame to medium and deep fry the chekkalu to a golden colour. Remember the frying has to be done on medium flame to achieve that golden color and crispness. 5 When the chekkalu turn a golden color use a slotted ladle to remove onto an absorbent paper and cool. Repeat the same process till the rest of the dough is done. Cool completely before storing in an air tight metallic container. For the first time if you feel like just stick to the basic recipe of 2 spoons coco for a plain chocolate cake. I tend to add more than 2 spoons of coco since I like it a little bitter, you can also add some walnuts or roasted almonds or a nuts and raisin mixture...it all works!! Sieve the flour, cocoa powder ,soda-bi-carb ,baking powder in a bowl. In another bowl beat curd, butter and sugar till fluffy. The more you beat these, the fluffier and softer your cake will turn out. So if you have a little extra time, keep beating, if you don't, its okey, your cake will anyways turn out real good. Now add the flour mix ie the contents of bowl one (from step 1) to the beaten curd-butter-sugar mixture slowly. Take care not to form any lumps. Add milk. Stir properly. Check the consistency of the batter by dropping it with a spoon from a height. If it's too thick, add some more milk till you get a smooth flowing ribbon consistency. Pour the batter in a greased microwave safe dish. (You can line your container with some dry flour so that the cake does not stick to it once done). [Step 6 is what makes this my favourite cake recpie ] Put in the microwave for 7-8 mins at 540 degree C.
No grill or convention needed. Just put the cake in, set time and temperature. Start. Except for the above step the procedure is pretty much the same as in all other cakes. Check if the cake is done by sticking a knife into the cake, if it comes out clean, let the cake cool. If some batter sticks to the knife, cook it for another minute or two. Cool and garnish with your favourite icing and fruits. Or you might want to try it without the icing, just some simple decoration. I just pour lots of chocolate syrup over it. You can decorate it anyway you wish. Add some sprinklers for some fun and colours, if you are making it for kids. Its really easy, fast and fun. I hope you like it as much as I do! 1 Boil water, add salt, ghee and moong dal. Add the rice flour, combine with water by stirring it in and turn off heat immediately. Cover with lid and keep aside. 2 Once cool, add chilli pwd, sesame seeds and cumin seeds and combine with the rice dough. Knead the dough till smooth. Test the dough for salt before preparing chegodis. 3 Apply oil to your fingers and pinch a small lemon size ball of the dough and roll into a thick rope which is approx 3-4 inches in length and form a ring by pressing the ends of the rope firmly. Prepare chegodis in this manner (as shown in the image above) and place lid over them so that they don’t dry. 4 Heat a wide heavy bottomed vessel with enough oil for deep frying and once the oil is hot, place the chegodis one by one into the hot oil, you will find the oil froth up in bubbles. Let the chegodis fry on high flame till they rise to the surface. 5 Once the chegodis rise to the surface, turn heat to medium flame and cook the chegodis till they turn a golden shade. Remember the frying has to be done on medium flame to achieve that golden color and crispness. It does take a while to fry the chegodi, hence patience is required. If you reduce flame to low, the chegodis will absorb a lot of oil so remember to keep flame on medium to high. 6 When they slowly turn to a golden color, turn them over gently to the other side and cook to a golden shade. Use a slotted ladle to remove onto an absorbent paper and cool. Cool completely before storing in an air tight metallic container. There are many variations to prepare chegodi. 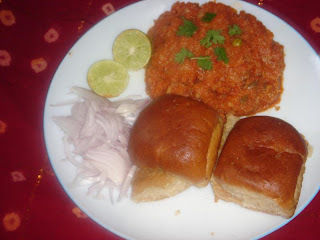 You can replace the chilli pwd with green chilli paste or green chilli-coriander leaves paste. You can add vaamu or ajwain (avoid cumin and moong dal if adding ajwain and use red chilli pwd). Dry roast the channa dal, dry coconut, coriander seeds and red chillies. Now make a paste the dry roast items with onion, ginger, garlic, cinnamon, cloves and cumin seeds. Now take the washed brinjals and slit into + shape. Stuff them with the paste. Keep the remaining paste for the gravy. Now take a pan and heat with oil. When they start to crackle add curry leaves. Add the remaining paste, turmeric powder, chilly powder, tamarind pulp and salt. Now add 1 cup of water. Let it cook for few mins. Then add the stuffed brinjals one by one. Cover with a lid and cook for 10 mins in a low flame. Finally garnish with coriander leaves and remove from the stove. stuffed brinjal curry is ready to eat. Serve with plain white rice, roti or paratha. 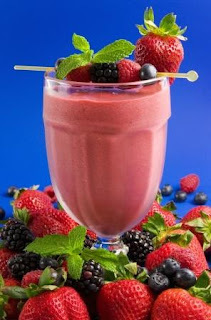 A strawberry ice cream milkshake is an ideal beverage in a hot afternoon. It's easy to prepare and highly nutritious. Cut the strawberries into cubes, and place them on a plate. Put the strawberry cubes into the fruit blender. Add 200ml of full cream milk. Add 2 tablespoonfuls of yoghurt. Add 1 tablespoon of sugar syrup. Blend the mixture to get a strawberry milkshake. Pour the strawberry milkshake into a cup. Scoop one scoop of vanilla ice cream and place the ice cream on top of the strawberry milkshake. Put some strawberry syrup on the ice cream. The ice cream milkshake is ready to be served! To make the sugar syrup, mix sugar with water, and heat it up. Alternatively, you may replace sugar syrup with honey to make it taste better. To make the recipe more nutritious replace the ice cream with frozen yogurt, or use low-fat vanilla yogurt and thicken the shake up with a frozen banana. Yum! Also, leave out the sugar syrup and use honey instead. 1 ) Heat a cooking vessel on medium heat and dry roast cumin seeds and coriander seeds, clove, marathi moggu, cinnamon and dry chillis for 2 mts. Remove and keep aside. In the same pan, add oil, add channa dal and urad dal and fry for two minutes till they turn red. Remove and keep aside. Add khus-khus, sesame seeds and grated coconut and fry for a minute and turn of heat. Add hing and stir fry for a few seconds. Cool and grind all the roasted ingredients to make a powder. 2) In the same vessel, add oil and once its hot, add mustard seeds and let them splutter. Add the channa dal and once it turns red, add curry leaves and let the flavor of the curry leaves come out. 3 ) Add the brinjal pieces, turmeric pwd and salt and fry for 25-30 minutes or till almost cooked. 4) Add the ground vangi bath masala pwd and combine well and cook further for another 2-3 mts. 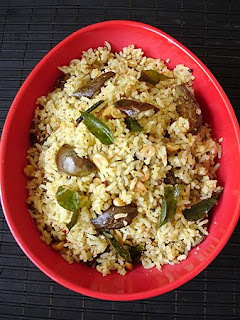 Add the cooked rice and combine with the brinjal-spice mixture. 5 Add the roasted peanuts and adjust salt and combine with the rice. 6 Serve hot with yogurt and appadam. A one-pot complete meal! Chapli kabab is an Afghan dish, which is very much popular throughout Afghanistan and also in Pakistan. An iconic dish among the Pashtuns, chapli kabab is made from minced beef or lamb, lightly spiced, and cooked on a large flat griddle in animal fats. Fine chop the onions and drain them well. Mix them well into the meat with all other ingredients also. Scramble 3 eggs and add them to the meat. Make the meat into kababs with your hands and fry them in a pan. Take them out on a plate and garnish with tomatoes. Cut the vegetables lengthwise and steam. Grind the coconut,coriander,ginger and green chilli into a paste sprinkling few drops of water. Heat Oil in a Kadai.Add Mustard,after it splutters then add Grinded paste. Fry for 5 minutes,then add the steamed vegetables and salt. Cook for another 5 minutes and the gravy all mixed together. Switch off the gas and add lemon juice as per ur taste. Mix all the ingredients (salt, oil, ajwain) except water. Add a little water at a time. Pat and knead well for several times into a soft pliable dough. Cover it with moist Muslin cloth and keep aside for 15 minutes. In a bowl add mashed potatoes and all dry masalas (salt, chili powder, mango powder, garam masala) and green chilles, ginger and Mix well. Add green peas, cashews and raisins and mix well. Add coriander and keep aside. Make small rolls of dough and roll it into a 4"-5" diameter circle. Cut it into two parts like semi-circle. Now take one semi circle and fold it like a cone. Use water while doing so. Place a spoon of filling in the cone and seal the third side using a drop of water. 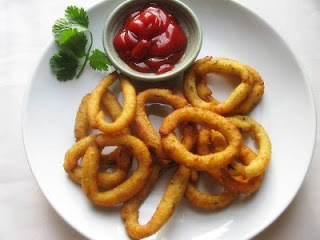 Heat oil in a kadhai and deep fry till golden brown (fry on a medium flame). Serve samosa hot with hari chutney, tamarind chutney. Whisk together all of the ingredients except the oil and the tomato in a bowl with a fork. Heat the oil in a frying pan. Carefully pour the omelette mixture into the pan and cook for 30-45 seconds, then flip over the omelette and cook on the other side. Serve scattered with the chopped tomato, and with some bread or toast. Heat oil in a pan. Add onions, ginger, garlic, and green chillies and sauté till golden brown. Add boiled vegetables and stir. Stir in the pav bhaji masala, turmeric, tomatoes, capsicum and salt. Add slit green chillies and water and mix it well. Cook for 4-5 mins. Mash the vegetables till they are little pulpy. Add lemon juice and serve with toasted buns or other bread. మొక్కజొన్న గింజలలో నీళ్ళు పోసి ఉడకపెట్టి మిక్సి లో మెత్తగా గ్రైండ్ చేసుకోవాలి. ఒక దళసరి గిన్నెలో నెయ్యి పోసి అందులో జీడిపప్పు,బాదంపప్పు వేయుంచుకోవాలి. అవి దోరగ వేగాక తీసి ముక్కలు చేసి పెట్టుకోవాలి. అదే గిన్నెలో ఉడికించిన మొక్కజొన్న గింజల మిశ్రమాన్ని ఒక పల్చటి గుడ్డ లో వడగట్టి పాలు తీయాలి. అందులో కాచిన పాలు, పంచదార వేసి బాగా పొంగేదాకా కలియపెడుతూ ఏలుకుల పొడి , పప్పులు వేసి దించుకోవాలి. ఫ్రిజ్ లో పెట్టి చల్లారక తీసి చెర్రీ పళ్ళతో అలంకరించి వడ్డించాలి. 1) Heat oil in a cooking vessel, add the chopped potatoes. Saute on high heat for 2-3 mts. 2) Reduce to medium flame and cook for 4-5 mts, stirring inbetween and scrapping the sides and bottom. Reduce flame to low, add salt to taste, place lid and cook till the potatoes turn soft, approx 15-17 mts. Stir inbetween, scrapping the sides of the dish as the potato tends to stick to the vessel. 3) Add the coriander pwd, turmeric pwd, chilli pwd and jeera pwd and combine. Stir fry without lid on high flame for 3-4 mts and combine well till the potatoes turn a golden brown. Cook Toor Dal in two cups of water, when half cooked add pieces of drumstick, potato, brinjal, lady's finger, onion, tomato pieces, and salt. Cook till dal is very soft. 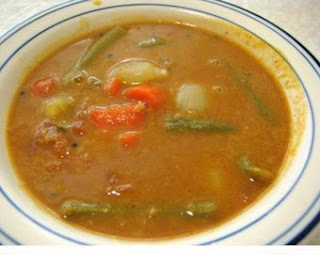 Dissolve sambar masala in little water and add it to the cooked vegetables. Take the pulp of the soaked Tamarind and add, blend well and cook. In another pan heat oil and add mustard seeds. When they stop spluttering add chopped garlic, methi seeds, dried red chilli pieces, Asafoetida and curry leaves. Fry for two minutes and then add to dal vegetable mixture and boil it for 1 minute. Finally add chopped coriander leaves on the top. Liquidize everything together & serve immediately. 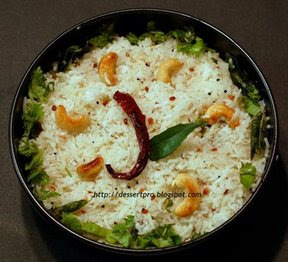 A little malai can be added as topping, if you like. Select mango which is not very sour. Roast the mango on a wire toaster on an open flame, until soft, pulpy & outer skin is somewhat burnt. Cool & remove the skin of the mango. Mash the pulp & discard the stone. Mix in all other ingredients & chill. Adjust sugar & seasoning according to taste. Just before serving, add a little crushed ice in individual glasses.